It was my first big outing since arriving in Alaska. I traveled to Seward to hike the Harding Icefield trail off Exit Glacier. A long rigorous expedition for someone who has not been active in quite some time, but the hike was not what frightened me. I had been warned on many occasions that while participating in any adventures outdoors, I may be approached by wild animals and this day was going to be my day. 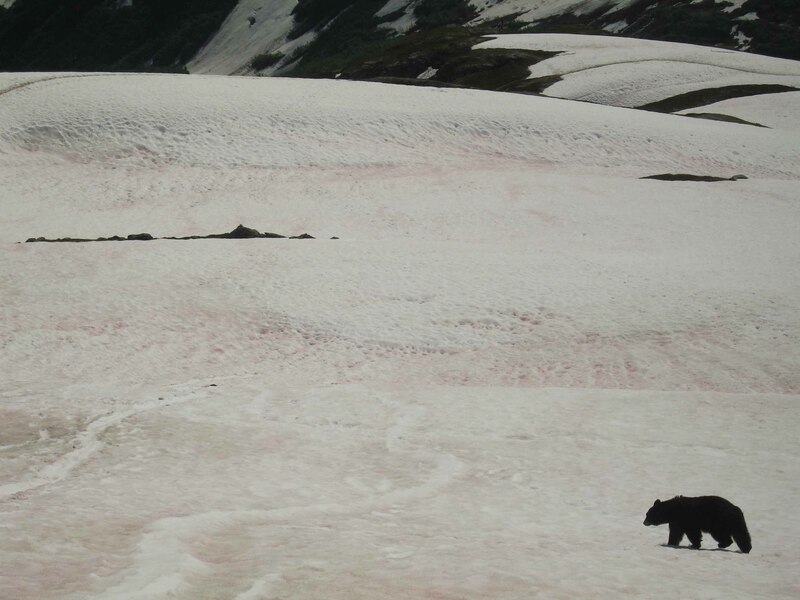 While hiking uphill, through the snow, and less than half a mile from the summit of Exit Glacier, there it was…a black bear. 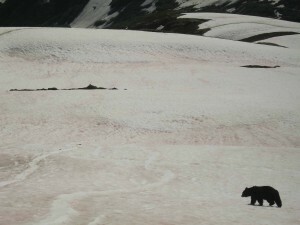 My first black bear less than 100 feet away from me, with the skill to maneuver through snow with more ease then I. So what did I do, I froze. My hiking partner Mindy Bickle was about 50 feet behind me as I released a low pitched squeak “Mindy bear” she replied with a loud “What?” I screeched again “Mindy BEAR!” Mindy was so composed and put together that she starting to yell at the bear to deter it. When she asked me to start yelling not much more came out of my mouth other than a low volume “Hey bear” I could not wave my arms overhead to look big, I couldn’t even move my jaw from off the snow or so it felt. The bear did eventually pass and I got the feeling back in my legs to continue to move up the hill, but I will not forget how silly I felt and probably looked.